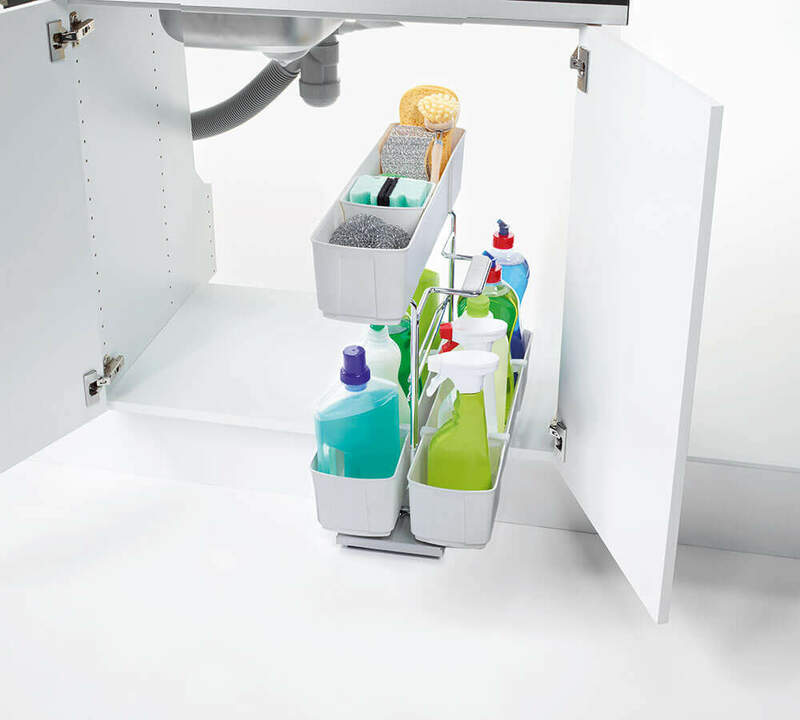 Pick-up-and-go storage for cleaning materials. Cleaning has never been so easy. 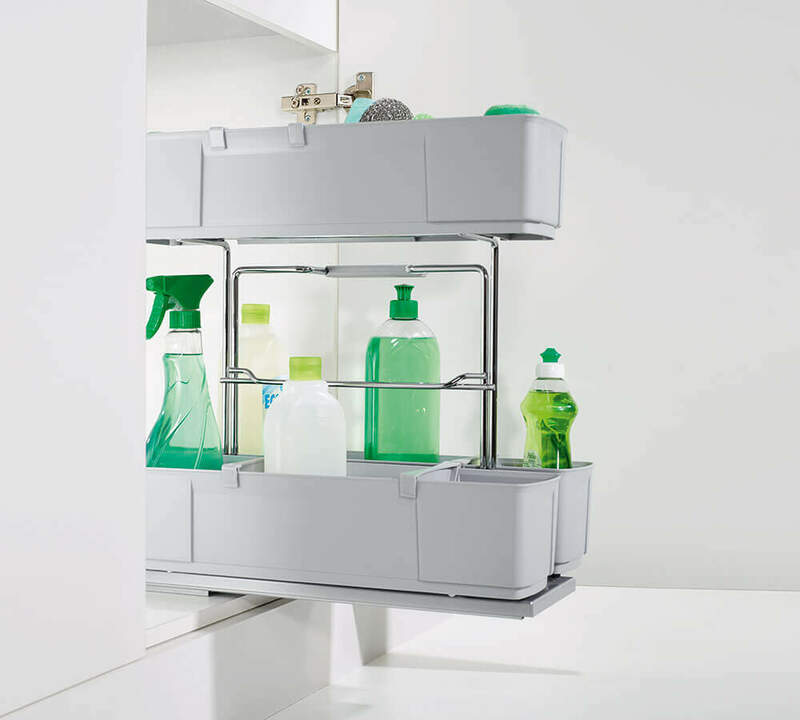 Stuff needed for cleaning is often stored in the kitchen, but it gets used all over the home. 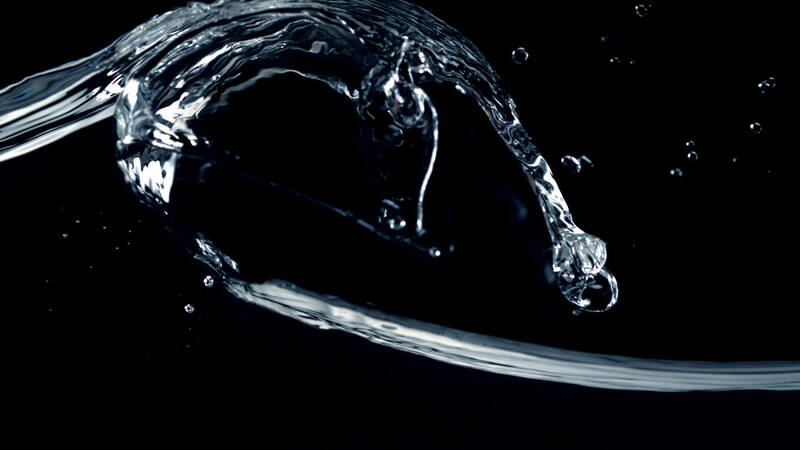 Kesseböhmer’s answer is our portable cleaningAGENT. The caddy, complete with the various containers, lifts right out of the pull-out. 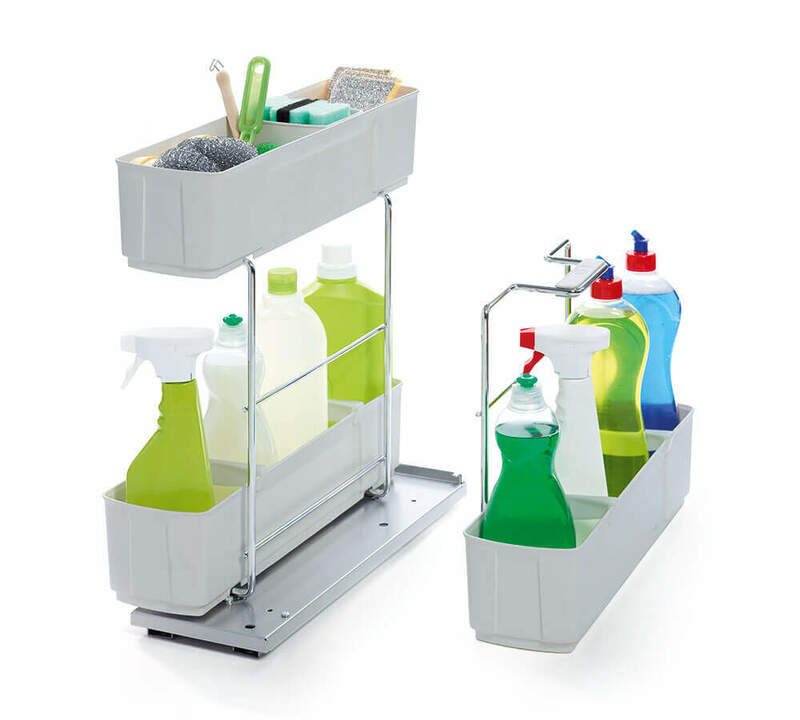 It serves as a practical organiser for cleaning materials, so that they’re always ready to hand wherever you’re working. Rubber feet make sure the caddy stands firmly and prevent scratches on sensitive surfaces. cleaningAGENT: Turns a cupboard into your cleaning centre. 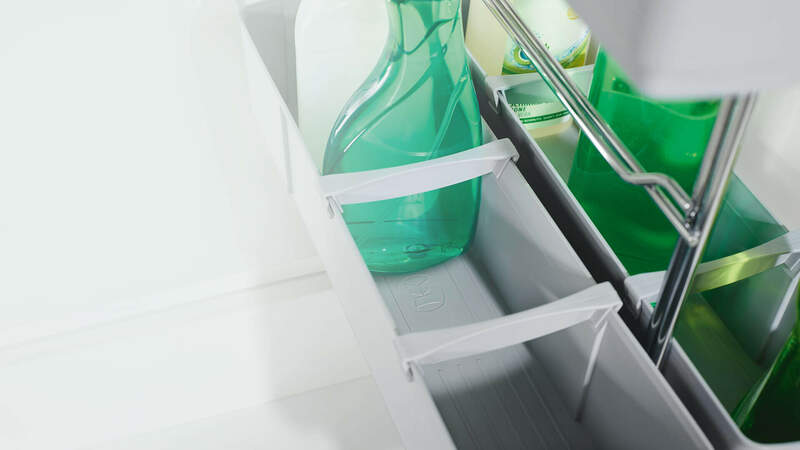 Store your cleaning materials in a basket to lift out and carry around as you clean. 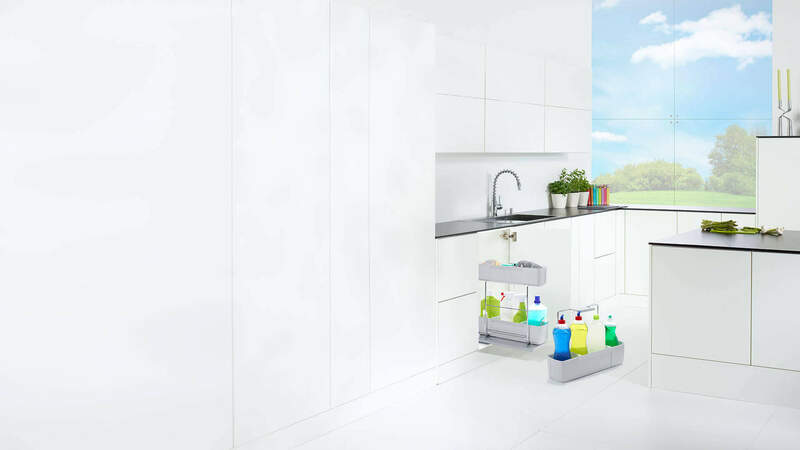 Totally practical, extremely compact and manufactured to the highest standards, cleaningAGENT has a lot of practical features and ample space for cleaning materials. 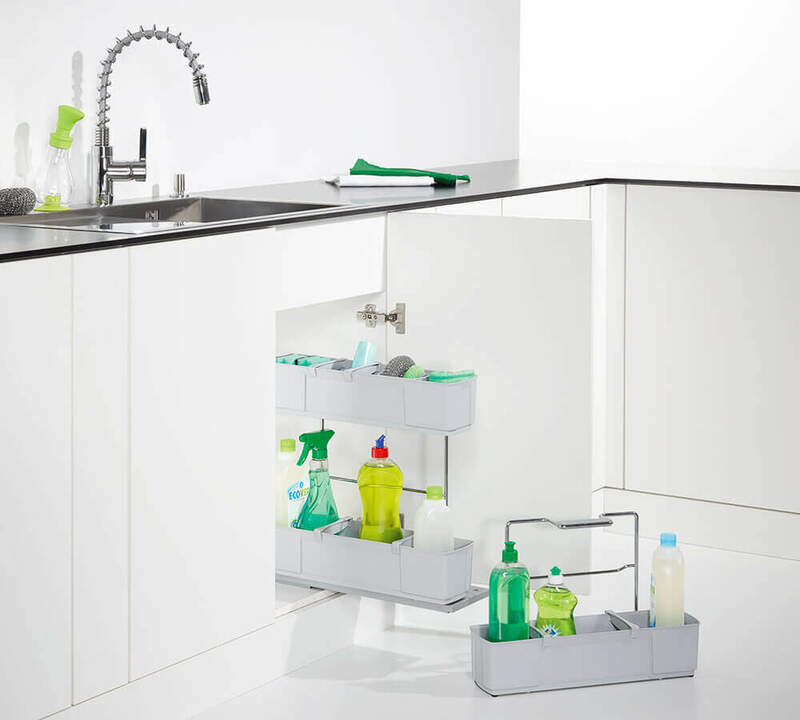 The shallow top layer lets you organise sponges, brushes and other implements. Pull the whole caddy out with one finger. Close it with a gentle push. Thanks to Softstopp, closing is gentle, controlled and noiseless. Top marks for practicality: lift-out basket with ergonomic easy-grip handle. 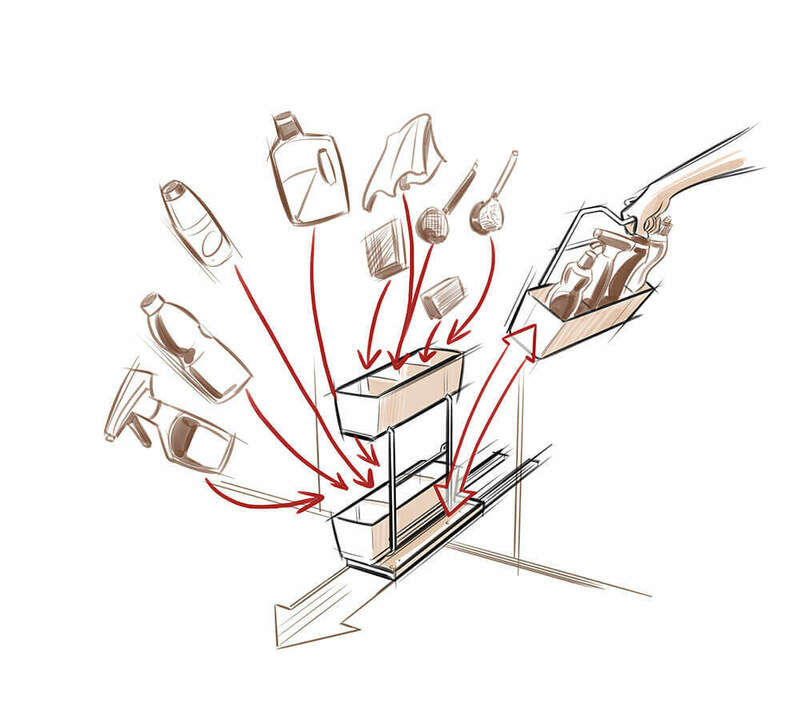 All the plastic containers are dishwasher safe – your cleaningAGENT caddy will always be clean and hygienic.